This Sunday we are starting our new Sermon Series leading up to Easter. 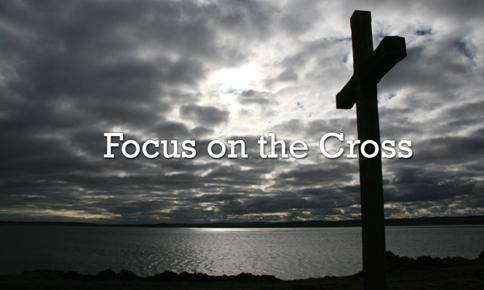 In the mornings as we move closer to the cross and the resurrection our title will be Focus on the Cross. The cross is like a cut diamond! It has many bright facets which catch the light of God’s glory. One key facet is the story of atonement; how does Jesus take our sins so we are forgiven? 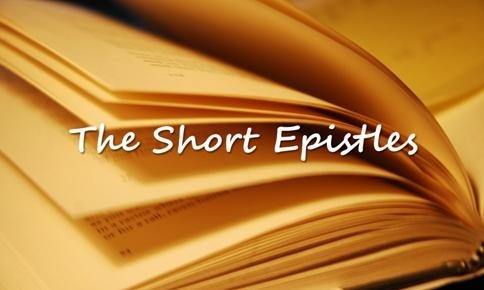 In the evening we’ll be looking at The Short Epistles. The Epistles were letters written to a person or a group of people in an area. Some of these letter are lengthy, but there are some that are so short that there length they are only counted in verses. Despite their size these letters still have something to say to each one of us. A leaflet for this series is available here. The picture that we’ve used for the Focus on the Cross series comes from a recent visit to Lindisfarne. It’s a simple wooden cross that’s been erected on a small island just off the main island. This has been a place of Christian worship for centuries, and there right at the centre of it was an empty cross. Without the cross and the subsequent resurrection our faith is just like many other belief systems, with the cross our faith stands alone as one where we follow a living saviour. For if there is no resurrection of the dead, then Christ has not been raised either. And if Christ has not been raised, then all our preaching is useless, and your faith is useless. And we apostles would all be lying about God—for we have said that God raised Christ from the grave. But that can’t be true if there is no resurrection of the dead. And if there is no resurrection of the dead, then Christ has not been raised. And if Christ has not been raised, then your faith is useless and you are still guilty of your sins. In that case, all who have died believing in Christ are lost! And if our hope in Christ is only for this life, we are more to be pitied than anyone in the world. The small island with the cross was a place where St Cuthbert spent many hours in prayer. It was cut of by the tide for hours at a time and Cuthbert would got to pray. Eventually a small chapel was built for him and the cross stands aside its ruins. The chapel may be gone, but the heritage and legacy of prayer and mission through St Cuthbert and from Lindisfarne lives on! I have happy memories of practising preaching our loud, shouting at the mainland in the teeth of the wind as I stood on St Cuthbert’s island in the year 2000.